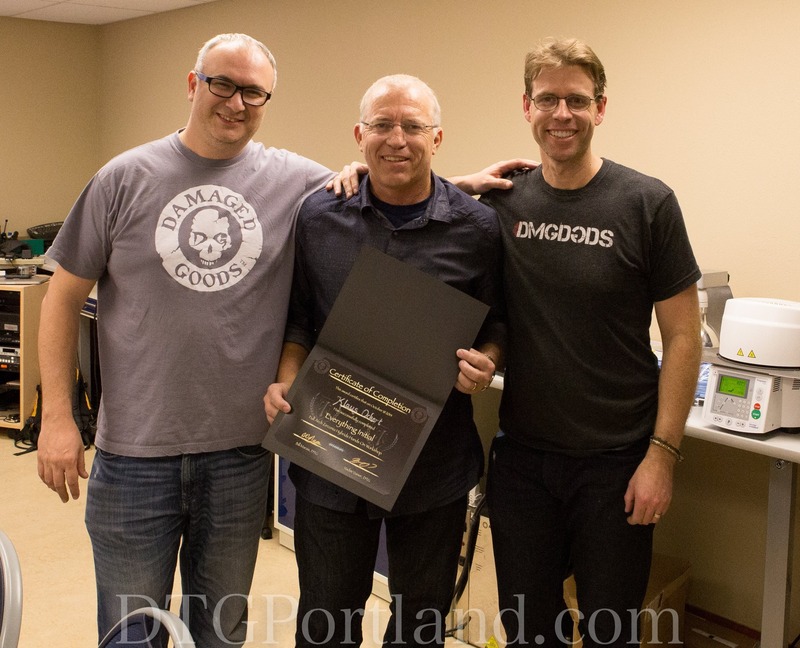 Our very own Klaus Ockert traveled to Portland, Oregon to meet and train with the Dental Technician’s Guild (DTG)! 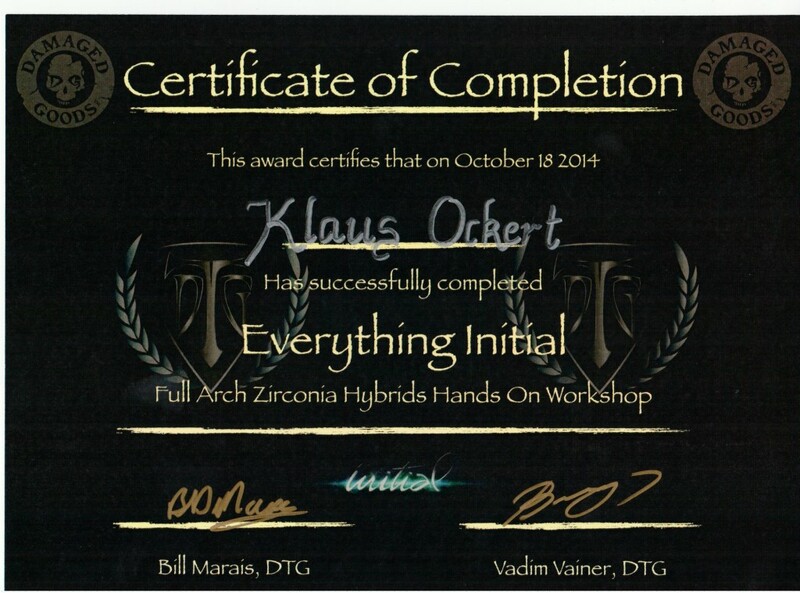 Klaus attended, and completed, DTG’s Everything Initial: Master Class workshop which included hands-on training in Full Arch Zirconia Hybrids. The DTG workshop was taught by Vadim Vainer and Bill Marais and ran the course of October 17 & 18. As a bonus, Klaus had the opportunity to learn a few photography tips and tricks on how to showcase the high quality of his work.